If you need immediate assistance, please contact the Clerks Department at 519‑376‑2205 or toll free, 1‑800‑567‑4739. Click on a heading below to view the agendas and minutes.  Grey County Council is made up of the mayors and deputy mayors of Grey County’s nine member municipalities. These 18 councillors represent the best interests of Grey County as a whole and each year a Warden is elected as the head of council. Grey County Council develops and evaluates policies to ensure Grey County services meet resident needs. Council is also responsible for the financial integrity of the municipality and many other duties. Full details can be found in the County’s Procedural By-Law. County Council typically meets twice a month to discuss and approve the minutes and motions passed during the previous Committee of the Whole. On occasion, some items may bypass Committee of the Whole. The Grey County Joint Accessibility Advisory Committee typically meets four times per year with more meetings as needed. This subcommittee reports to Committee of the Whole. It advises County Council about ways to ensure County services and spaces are accessible. This committee meets requirements of the Accessibility for Ontarians with Disabilities Act and Ontarians with Disabilities Act. Membership includes 50% plus one person with disabilities. One member of County Council sits on the committee and the rest are public members. There are currently no meeting dates set, please check back at a later time. The Building Task Force is an ad hoc committee formed to oversee the construction and renovation of the Grey County Administration Building. This committee consists of the Warden and four members of County Council with additional support from staff. The Economic Development Advisory Committee meets regularly. This subcommittee reports to Committee of the Whole and advises council about expanding the prosperity base in Grey County. Specifically, the committee helps implement the “Made in Grey” Economic Development Strategy. Voting membership is comprised of the Warden and two council members appointed by Committee of the Whole and up to seven public members from the broader Grey County economic interests/sectors also participate. The personal information contained in communications directed to County Council or its Standing Committees is collected under the authority of the Municipal Act, 2001 as amended and will be used to assist Council Members in their decision making process. Questions about this collection should be addressed to the County Clerk at 595 9th Avenue East, Owen Sound, Ontario N4K 3E3 or by telephone at 519-376-2205. Communications addressed to County Council and its Standing Committees will become part of the public record and may be placed on a public agenda made available through the County of Grey Internet website.